It's like taking a cork out of a bottle, I am trying to catch up on some of the posts I wanted to make! 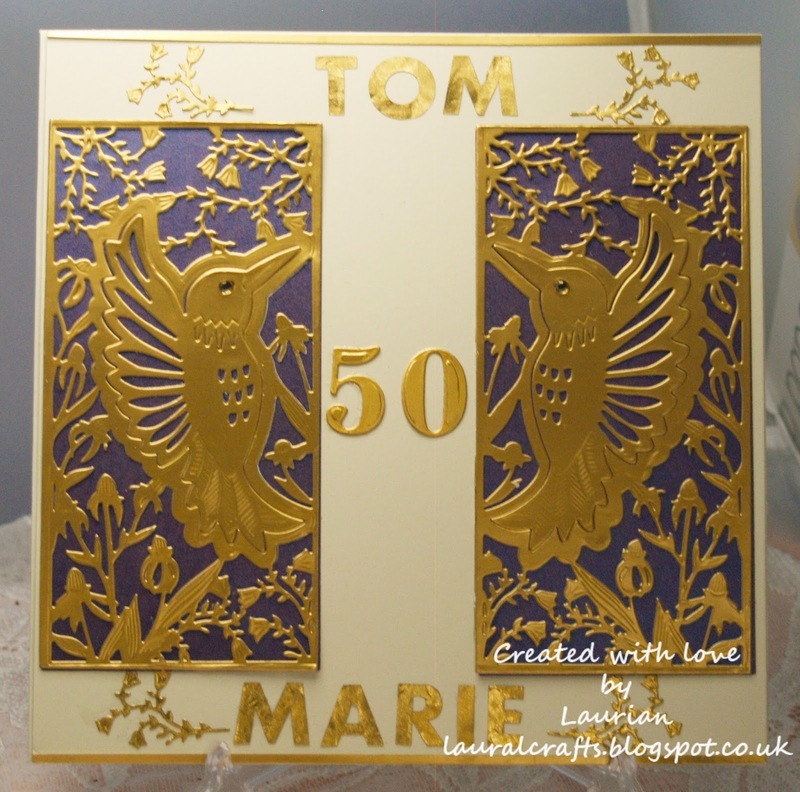 This is a card I made for a friend who's sister was about to celebrate her 50th wedding anniversary, in fact it's tomorrow. 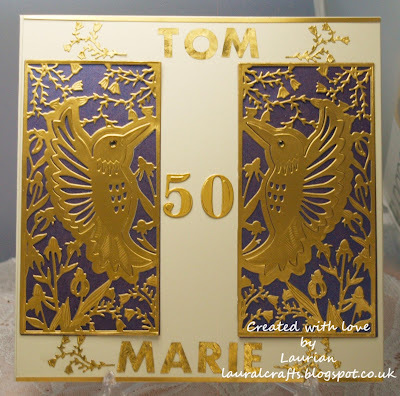 I made an 8 x 8 card base and used the Songbirds die collection from Tonic. I cut them out of some matte gold and layered onto some navy iridescent vellum. 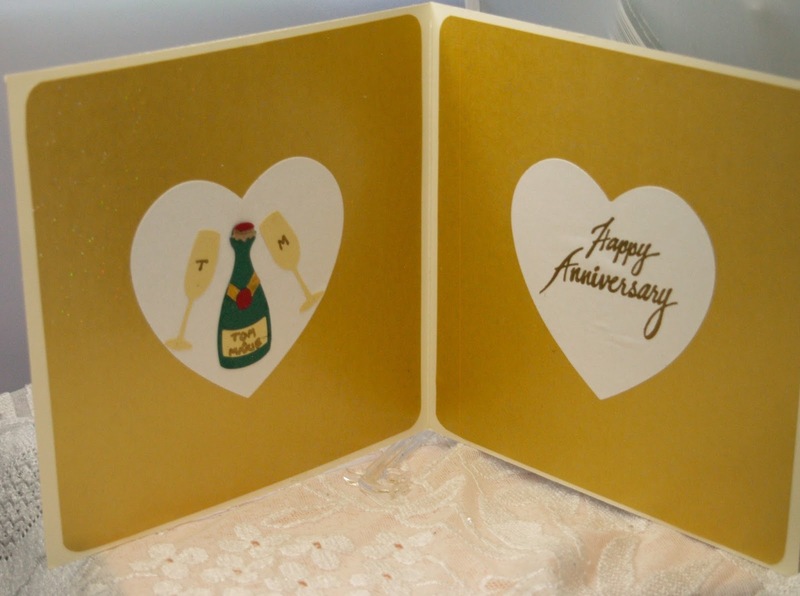 The numbers were cut from another Tonic set that came with the drawers I bought for an advent calendar and the names are cut from some engine turned effect paper on the Silhouette, I edged the card with some thin strips of gold. She was thrilled with it and has flown off to Ireland today for the big celebration tomorrow - I hope the happy couple like it too! Thanks for stopping by - see you again soon!